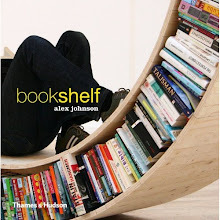 Think of it as a "Lazy Susan" for the bibliophile! Once stored in this handsome, distressed-pine-finished table, dozens of books will be within reach of your favorite reading chair. 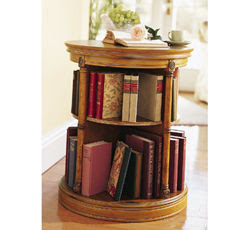 Handcrafted of wood and wood veneers, our round table features two bookshelves, each with four divided compartments and elegant medallion accents. 23-1/2" dia. ; 28-3/8"H. Imported. Antique pine finish. Assembly required.